This is a problem that does not seem to want to go away for all the major manufacturers of laptop computers. 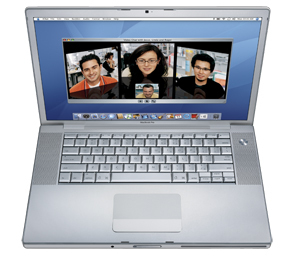 It does not seem that long ago when we had the Sony battery problems, and now Apple have issued a statement regarding the batteries that are in the Apple Mac Book and the Mac Book Pro, the affected models were sold between February 2006 and April 2007. Unlike the problems that we previously saw with some laptops actually catching fire due to the battery overheating, this problem appears to be affecting performance, rather than overheating. Apple is telling customers that there are safety risks and users can continue using the computers as normal. They go on to say that the problems can also affect charging, or rather the lack of charging when the adapter is plugged into the mains. This is not a very satisfactory situation to be in, the whole point of owning laptops is that we are able to move around with them, giving everyone the freedom to work and browse when and where they choose, but a laptop with a faulty battery is next to useless. Apple have released a software update which is supposed to improve battery performance, which begs the question is it the battery or something else? In any case they do say that should the laptop continue to have performance problems then they will issue a new battery free of charge, which should be a bit of relief for those owners whose machine is just outside of the warranty. I have an older Compaq Presario 3000, besides the fan noise it handles well. About three years ago I had to replace the original battery with a third party replacement. At the time I just figured it as age but, with the recent batters recalls I think these battery problems have been underground for a while.